John Worthen was out reporting on the flooding along the Arkansas Delta for the Little Rock Democrat-Gazette when he saw this car abandoned along US-70 near DeValls Bluff. Hard to believe someone actually drove it during the flood. Perhaps it floated its way there. 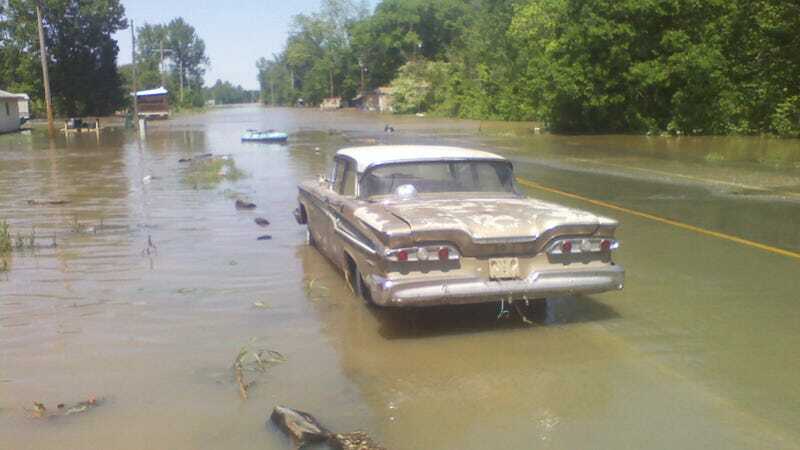 Anyone missing 1959 Ford Edsel Corsair Hardtop Coupe?